I want to stay in Europe forever… We are now two weeks into our month long race tour here in Europe. So far we have been in Obertilliach, Austria, Kanjska Gora, Slovenia and now we are in my favourite spot, Toblach, Italy for a few days of training before we head back to Slovenia for the World Cup races this coming weekend. You may ask yourself why does she want to stay. As I write to you it is raining outside and the little bit of snow left on the ground is reducing even further, green grass peaking through. Canada seems pretty appealing, perfect winter snow conditions, below zero temperatures, my family, my boyfriend, my friends, my support network, a bed I can call my own, and there are races there too. Now let me tell you why after only 4 races and still two weeks left in our trip I am already wishing I could stay longer. Plain and simple, THE COMPETITION. 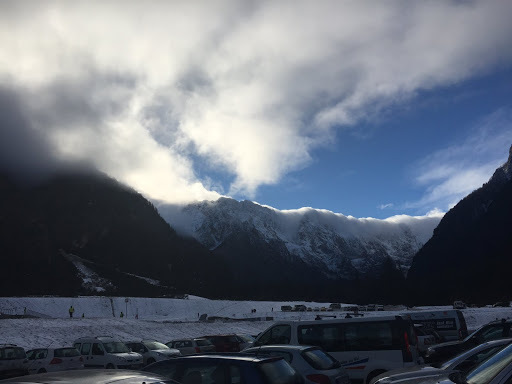 This past weekend the team raced the OPA races in Planica, Slovenia which are the continental cup races for all the central European countries. 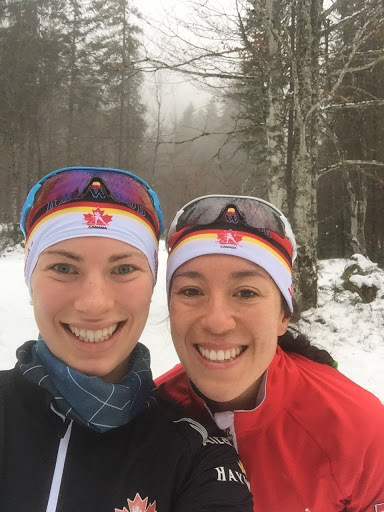 We had 5 women from Canada racing including Emily who has been our sole female on the World Cup before Christmas. 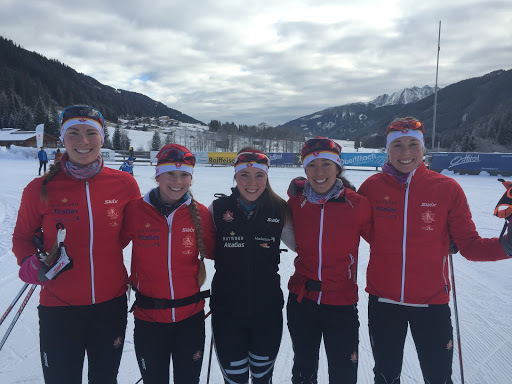 The other four of us, Myself, Cendrine, Maya and Katherine came over from having been racing on the NorAm Circuit in Canada. It was obvious that Emily has had a lot more experience racing over here, that comes with age and opportunities. She had a very consistent weekend finishing 4th, 3rd and 3rd in the three races. In these OPA fields it is almost guaranteed that the winner or a few of the top 5 finishers have all scored World Cup points before (Top 30 on WC). I was in the second quarterfinal, ranked 4th. I skied hard but laking a bit of confidence in myself when the top girls attacked on the hill I didn’t believe I could stay with them, letting a space open up, I found myself catching back up again and suddenly realized I could maybe catch back up. Crossing the line in 4th but only a boot length behind 3rd, I had skied fast enough to be holding the 2nd of two lucky loser positions (which advances you to the semis). I held this position up until the final heat, which was Emily’s and Emily came through the finish with a faster time than me bumping me out of advancing to the semis, the 3rd place finisher from my heat also went through. I was sad not to move on but so happy for Emily and she made it to the final that day and finished 4th. Just the way the rankings work even thought I was only 0.5 seconds away from being in the top 12, since I was 4th in my heat I then got ranked behind all the 3rd place people in the other heats and finished 18th. Although the result doesn’t look that sparkly on paper there were so many positives and lots of notes from improvement so that next time I won’t miss out on those semi finals. In the two distance races I finished 16th in both. I had some back and abdominal cramping in both races which I haven’t experience this year. That was hard to push through and definitely took me off my A game. In the Sunday’s skate race I also had two falls which didn’t help my time. There were some good parts to each races like being able to ski behind the OPA series leader for part of yesterdays race and focusing on how to dig deep when things aren’t going smoothly. It is easy for me to find the extra pain threshold when a race is going well, much harder when you know you aren’t contending for the top few spots but I was happy to be able to keep up the fight and finish a respectable 16th in a very competitive field of women. 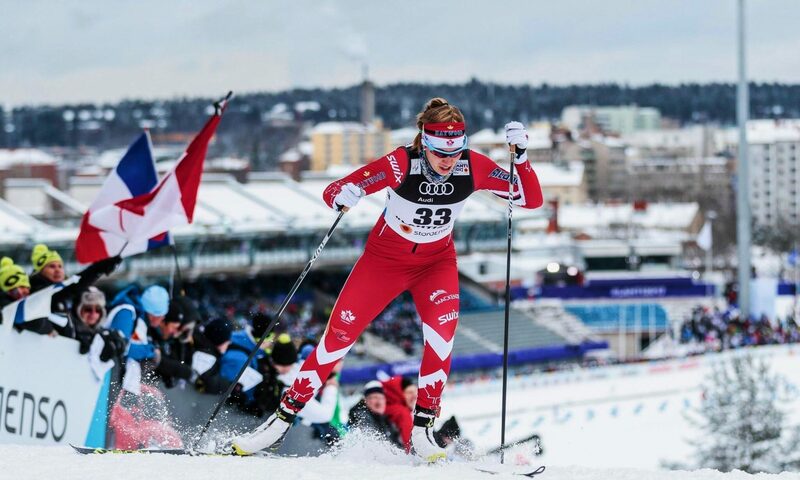 What I realized most though was in Saturday’s race I was still the second Canadian behind Emily, who hasn’t been racing in Canada this season and Sunday I was 3rd Canadian, behind Emily and Cendrine, who had a good day and finished 9th! You can never say for sure but it is probable that both of my races this weekend would have seen me on the podium in Canada. The biggest benefit to racing here in Europe is the depth, yesterday 35 seconds separated Cendrine and I and that put us 7 places apart, 9th to 16th. In Canada we probably would have had one person between us at most. It is so great to know that each second you fight for in a race will move you up or down a few places. In Saturday’s classic race I was 0.8 seconds behind 15th and 1.0 seconds in front of 17th over 10 km. The first race we did here in Europe was an Austria Cup, a smaller field but still some strong competition. It was a 5km Classic and I felt really good that race. I finished 2nd only 18 seconds behind Emily and 23 seconds in front of one of Austria’s top skiers who was also competing at the OPA’s the following weekend. In all of these races there was just so much depth, the number of fast skier is awesome and it makes you constantly need to push and look for the extra second that could make the difference. With only World Cup starts left to come this trip the competition will become even harder. Next weekend is the Planica Sprint World Cup followed by the Nove Mesto distance world cup the next weekend. All four of the races will be on the http://www.fis-ski.com/cross-country/ website. I will be racing both the individual skate sprint and 10km skate race and hopefully the team sprint and relay as well. The rest of the trip I will be continuing to try to learn as much as possible from each race and take advantage of the depth of racing to try to bring the same mentality to racing in Canada even if the time gaps are a bit bigger. 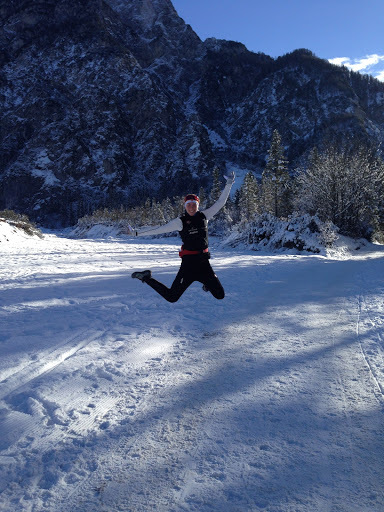 Now I get to enjoy the wonderful company of my teammates and the quaintness the little town of Toblach has to offer. Thanks for reading and looking forward to sharing my World Cup experiences with you! Happy trails from the other side of the pond. 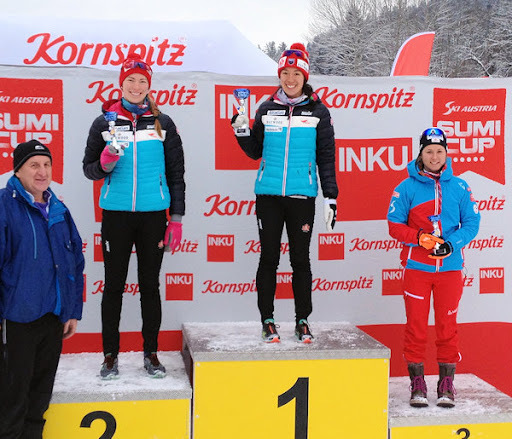 Next PostNext Europe Race Journal Part II: My Best World Cup Result Ever!